Villa Almerico Capra, or La Rotonda (The Rotunda, so called for its central round area within a square floor plan). 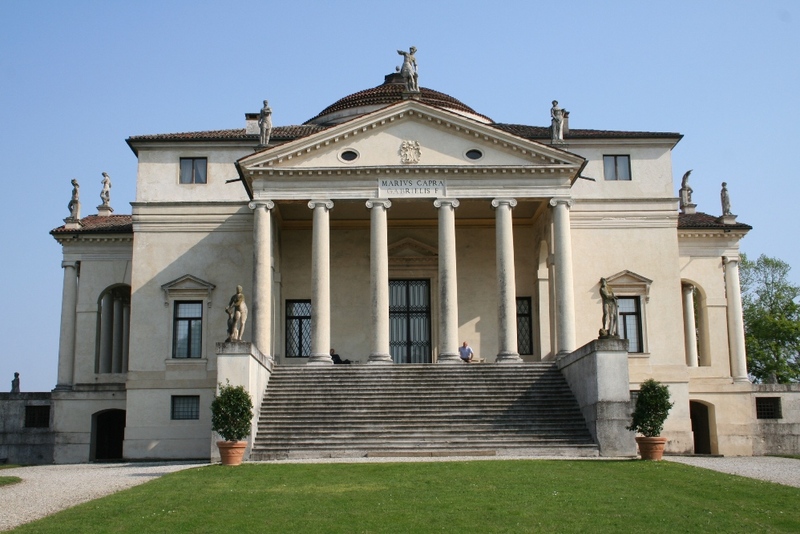 Begun 1580 by Andrea Palladio, completed by Vincenzo Scamozzi after Palladio’s death. Inspired by the Pantheon in Rome, this building in turn became immensely influential on future architecture. For More Images of Palladian architecture on Flickr, Click here. 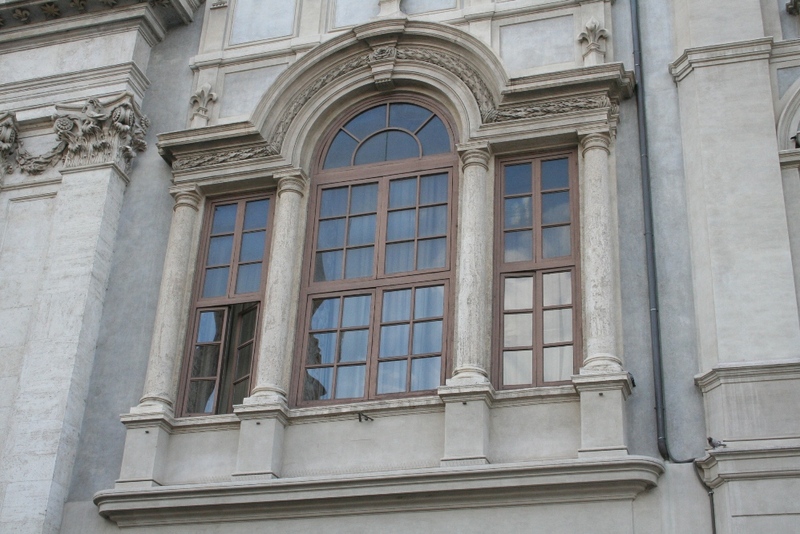 A Palladian (or Serlian) window, one of Andrea Palladio’s most famous forms, identified by a central arched window flanked by two rectangular lights (windows) set within a Classical entablature and columns. This one is part of the Baroque facade of Sant’Agnese in Agone Church, Rome. 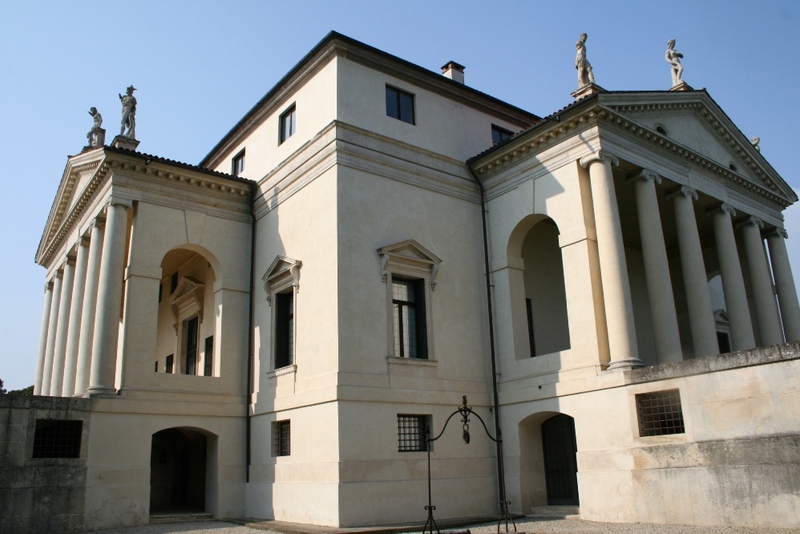 Villa Alemerico Capra (Villa Rotonda), revealing the identical facades on all four sides. Vicenza, Italy. 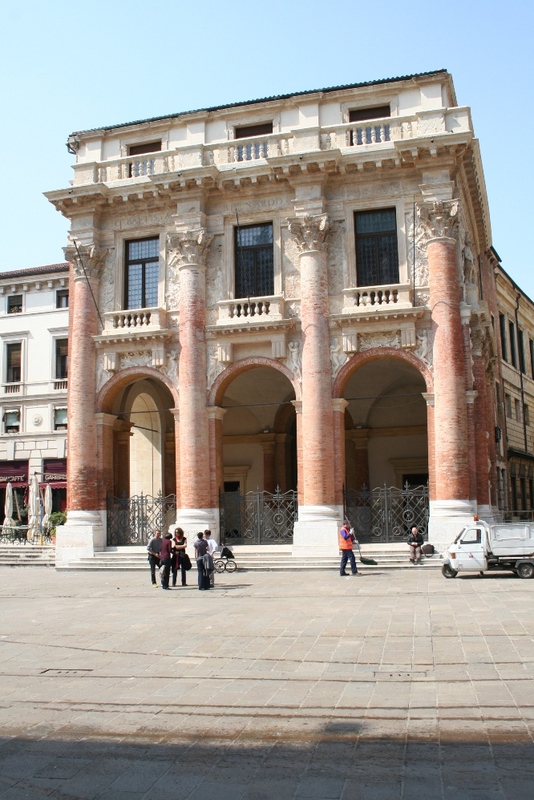 Palazzo del Capitaniato, c.1571-72. 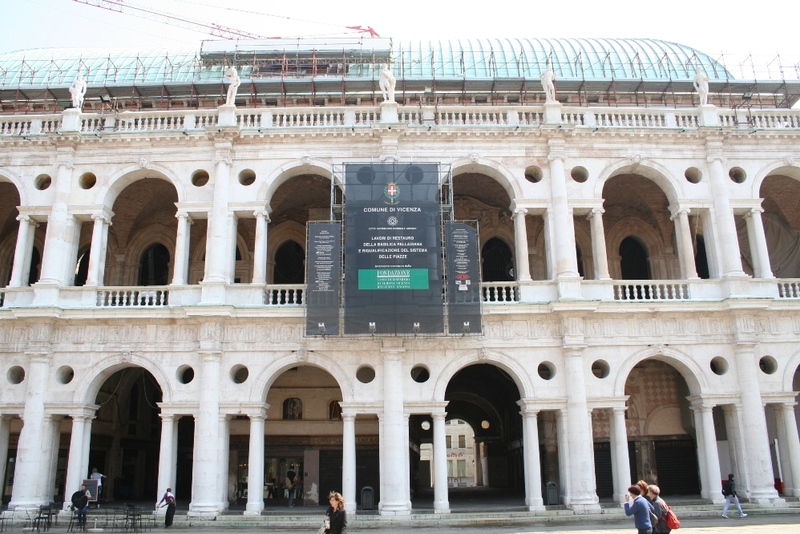 Designed initially by Andrea Palladio in 1565. Basilica Palladiana, c.1546-1549, Vicenza, Italy. Originally built in the 1400s as the Palazzo (palace) della Ragione. 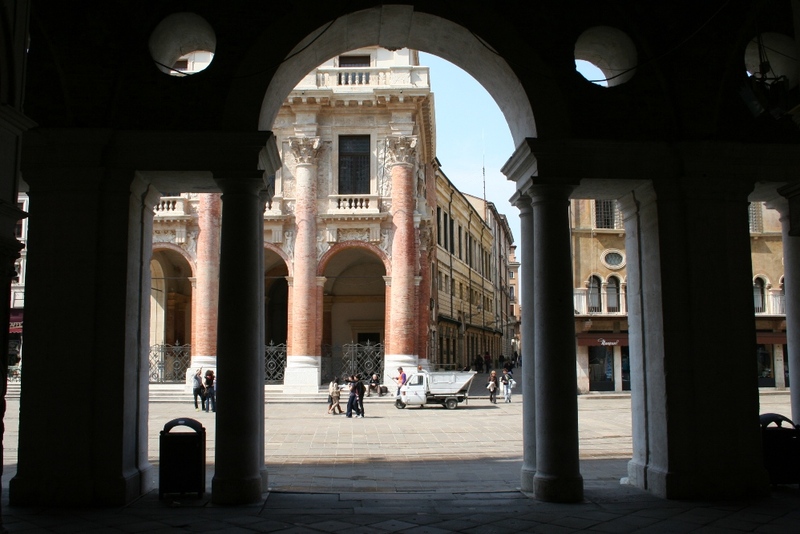 This is one of the first of young Andrea Palladio’s commissions, to restore the ailing Gothic structure with a new loggia, portico, and classical figures, essentially hiding the original building. This is one of Palladio’s first (if not the first) incorporation of his so-called Palladian (or Serlian) window. This feature includes a central round-arched arcade flanked by two rectangular openings and classical columns. This form would become immensely popular throughout the next several centuries, and still shows up on 21st-century buildings. Vicenza, Italy. 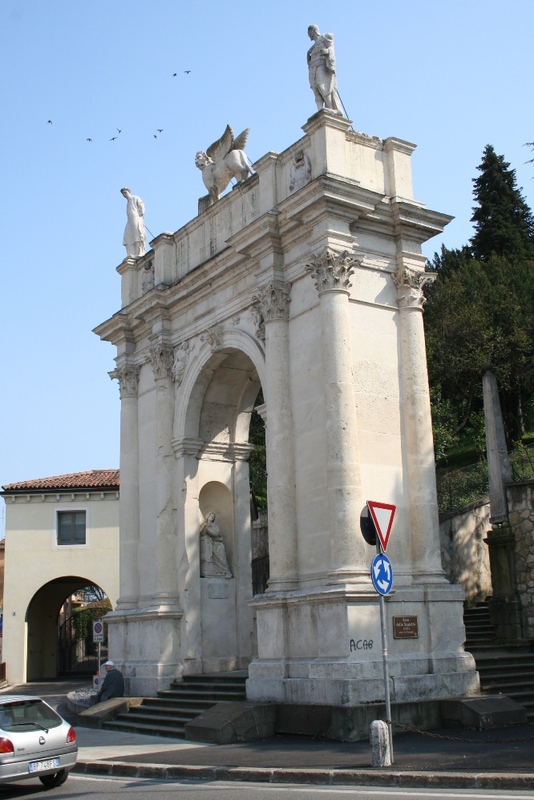 Arco delle Scalette (Arch of the Steps), designed by Andrea Palladio around 1576, likely as the gateway to the stairs leading up to Monte Berico.